Dr. Ilan Wittstein is a cardiologist and the foremost expert in “broken heart syndrome,” also known as stress cardiomyopathy or takotsubo cardiomyopathy. His 2005 article in the New England Journal of Medicine explaining the mechanisms of short-term heart failure after extreme stress introduced this syndrome to the global medical community. Dr. Wittstein has lectured extensively on stress cardiomyopathy, both nationally and internationally, and has appeared in scores of major media stories on national TV and radio networks, in international documentaries, newspapers, magazines and websites. Dr. Wittstein received his undergraduate degree from Wesleyan University in Connecticut, then completed medical school, residency, and two cardiology fellowships at the Johns Hopkins University School of Medicine. He is an assistant professor of medicine and gives regular lectures and seminars on topics of coronary care. 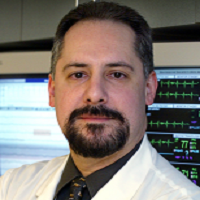 Dr. Wittstein also serves as a peer reviewer for over 20 journals including Lancet, Nature Medicine, New England Journal of Medicine, Journal of the American College of Cardiology and European Heart Journal.